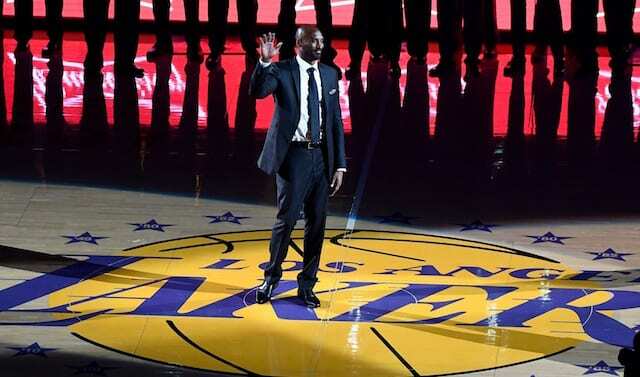 Kobe Bryant ended his 20-year career with the Los Angeles Lakers in thrilling fashion, as the 60-point sendoff was the perfect conclusion for a player who is arguably the most complete scorer in NBA history. 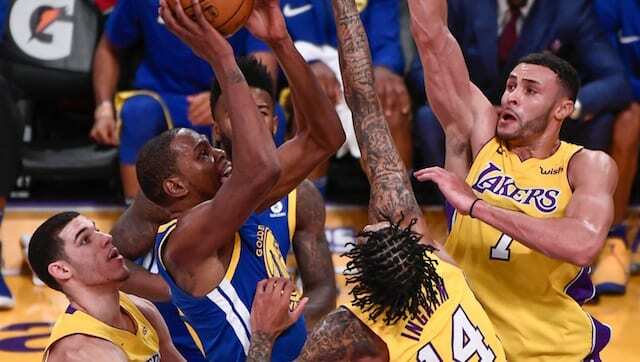 After playing his final game against the Utah Jazz, focus began to shift toward how the Lakers would honor one of the franchise’s icons. That answer first came in the form of a jersey retirement ceremony for the future Hall-of-Famer. While Bryant joins the likes of Kareem Abdul-Jabbar, Magic Johnson and Shaquille O’Neal, he fittingly stands in his own category. Bryant is the first player to have two numbers retired in his honor. Bryant was joined on the court by former teammates Derek Fisher, Lamar Odom and O’Neal, among others, plus former players such as Bill Russell and Allen Iverson. A few hours prior to formally raising his jerseys to the rafters at Staples Center, the Lakers hosted ‘Kobeland’ on Chick Hearn Court at L.A. Live. It included a Kobe-themed Ferris Wheel, photograph opportunities, and specially-designed merchandise that was sold from an onsite Nike truck. Bryant stated on multiple occasions he did not have a preference for which jersey number was to be retired, but if forced to choose, would select No. 24 because it was the last he wore.